Prince always had a presence in my life due to my growing up in the general region where he lived. As is often the case, one begins to learn about and actively appreciate someone better after they have passed away and that ended up being the case for me with Prince. I was aware of his musical rise and breakout in the film “Purple Rain” but I was too young to really understand the material. Oddly enough, my father always had an uncharacteristic soft spot for Prince and he saw “Purple Rain” theatrically with my mother while I had to wait another two decades before getting around to watching it with him. The film blew my mind in how gritty it made Minneapolis look in that era. Like similar cities, such as Seattle, the modern Minneapolis urban core has since largely been remodeled and sections torn down to replace with new condo high-rises or shopping areas. The female lead of “Purple Rain,” Apollonia came back to First Avenue for a benefit event in 2014, her first visit to the area in three decades. She claimed that she was not Prince’s real-life girlfriend at the time of filming but that denial was hard to believe. If anything, they seem to have remained on good terms. During Apollonia’s return, she pointed out the rigors of filming the infamous ‘Lake Minnetonka’ scene and some medical issues that nearly resulted. Unfortunately, the peak in Prince’s popularity that came out of “Purple Rain” would get lost amid his record company feud in the 1990s and changing tastes. In what were my definitive music-listening years, Prince had become an oddball has-been. Even in decline or under a lessened spotlight, Prince remained well regarded in the Twin Cities area throughout his entire lifetime. People who were paying attention to him back when he was first taking off would talk about how much of a genuine musical prodigy he was considered, given his ability to play a vast number of instruments at a young age. First Avenue & 7th Street Entry, the club featured in “Purple Rain” remained an iconic club downtown and it maintained a certain dirty vintage vibe amid the contrasting remodeled surroundings. Prince would show up from time to time at a downtown club to do a late show or would periodically do middle-of-the-night hours-long concerts out at a small theatre at his Paisley Park complex on the very southwestern edge of the Twin Cities’ exburbs. It always struck me as ironic that he was associated with growing up in a tough neighborhood in the Minneapolis uban core despite having lived most of his life out near the quiet/private cornfields and grasslands. Prince became associated with the Jehovah’s Witnesses in the early-2000s and followers might recall a period where he was censoring lyrics on old songs in concerts and such. He seemingly lightened up a bit with such notable moments as the use of a phallic symbol in his Super Bowl performance. Right up until Prince’s death, he was still involved with Jehovah’s Witnesses, both in the Twin Cities and at his Los Angeles home. Every so often in the mid-2000s there were reports of Prince performing his door-to-door Jehovah’s Witness duties down in neighborhoods near his complex. He was not purported to wear any sort of crazy clothing when doing so but he obviously had to have had style even if it was in a simple black suit. Some (many?) did not recognize him, since the notion of Prince coming to one’s door and interrupting Sunday lunch was not something that they would have ever anticipated. There was a certain surprise amongst Minnesotans that the news of Prince’s death had a longer reach globally than most would have predicted. That disconnect had to do with the difficulty of keeping in perspective how ‘big’ Prince was outside of his hometown. For example, he sold out the O2 Arena in London for 21 straight shows in 2007 at an average of around 16,000 attendees per night. That was crazy, especially since he had not really had a mainstream ‘hit’ in many years. The reaction was not on the level of hysteria that followed the death of Michael Jackson, but there was an interesting contrast where Prince had gotten his public life in order in the years before his death. Jackson never got past the cloud of his various court cases and continual odd behavior but Prince seemed to have become more accessible to fans and the media in the years after he stopped the antics that caused problems for his image in the 1990s. That 1990s period was interesting to look back on again though and many pundits have pointed out how progressive his business practices were at the time, even if they often did not work out for him. I could not help but think of the parallels with George Lucas, the fierce independent streak. Both men chose to make their hometowns their headquarters while still keeping a toe in the water in L.A.
Again, Prince was active in his community in ways outside of simply playing at local clubs or hosting parties. Many do not think of famous singers as being avid sports fans but Prince had played basketball in high school and he was a big Minnesota Vikings fan. He had a suite at the now-demolished Metrodome and cameras would sometimes cut to him watching a given game. On the eve of what seemed like a possible Super Bowl appearance for the team in 2009, he even wrote a (horrible, in my opinion) song that was played in the lead-up to what would be an awful loss to the Saints. Prince never officially stated why he liked purple so much but it was widely been assumed that some element of that favoritism related to his being a Vikings fan. Sounded good to me. In Prince’s later years, he even poked fun at those who had parodied him. USA Today, crack reporters that they were, dug into the Prince-related Charlie Murphy story that was one of the highlights of the legendary “Chappelle’s Show” sketch series. In that sketch, Charlie told of a time in the mid-1980s when he and his brother Eddie spent a night at Prince’s home in Los Angeles. Prince’s crew easily beat the Murphy crew in a basketball game and the next morning Prince served everyone pancakes. Prince would later confirm the story in an audio interview, the suggestion being that the Murphy brothers were simply very bad at basketball. Prince even later went so far as to use a shot of the pancakes being served in the sketch on a single album cover. Prince did not seem to mend all fences though or roll with every jab. Filmmaker Kevin Smith, known for his famous stage story about a visit to film Prince at his home, was quite apologetic and mature in realizing too late that he had misunderstood Prince’s world. In particular, he did not appreciate the resources at Princes disposal, the man’s sheer 24/7 creative output, or the value of his independence streak. Rather, in that misunderstanding, he mocked Prince’s reach and work ethic at the time. In reflecting on Prince’s death, Smith did offer a couple of very nice, poignant moments from his old story about visiting with Prince. One in particular where his daughter flew up to Minnesota for Father’s Day and danced with Prince caused him to begin crying. Besides appreciating the fun 1989 “Batman” soundtrack that Prince produced, Smith referenced a number of vintage clips of Prince, including an early 1980s James Brown tribute where Michael Jackson seemed to request that James Brown call Prince up to the stage. At that moment, things turned a little crazy. As Smith observed, Prince confidently strode on stage and literally seemed to “…f*** a guitar.” This claim might sound outrageous but it was hard to deny if one saw the actual performance. A number of years back, someone had mentioned to me the tidbit about Prince having been an instrument-playing prodigy in his teens and that was the first time that it registered that Prince was much more than a vocalist. A 2004 “Rock & Roll Hall of Fame” performance ended up demonstrating that claim and a video of Prince’s guitar work that night made the rounds in the aftermath of his death. As a viewer, one did not really even notice Prince on stage until around 3 minutes into the performance. He finally began his solo 30 seconds later and he was smiling toward the end of it, since, well, he nailed the moment. The goofy things that he did as he played, like having a guy ready to prop him up from off stage as he bent back with the guitar, just made the performance all the better. In addition, as much as I had probably overlooked Prince’s instrumental prowess, his dancing ability was one of those things that people also took for granted. Michael Jackson was seemingly one of those people who never overlooked Prince’s multiple talents. While that earlier mention of Prince at the James Brown event showed an example of Jackson doing things to promote Prince, there always remained a puppy-dog like behavior with Michael constantly seeking Prince’s approval. Few others could claim to have the singer-songwriting and dance skills that Jackson possessed but Prince even had an edge over Jackson with his instrument playing. That rivalry seemed to be in full effect in the years prior to Jackson’s 2009 death, with Will.I.Am citing an incident in 2006 where he attended a Prince concert in Las Vegas with Jackson and Prince made a point to aggressively play guitar right in front of Jackson. In hindsight, fans could see some signs that Prince was turning oddly nostalgic while his health had seemingly declined. First up was his having announced such unexpected projects as an autobiography. He had also performed intimate, one-man shows that were biographical, with him walking audiences through his life as he gave commentary on the songs that he performed. Factoring in tidbits like his uncharacteristic crying during a performance of “Purple Rain” at one of those shows, the evidence mounted in hindsight that he was struggling inside with his mortality. It was a long good-bye in the Twin Cities for Prince. The First Avenue club became a logical meeting place for mourners and several nights of public celebrations were held in his honor. Some went until 7:00am the following morning and there was talk of the crowd in the streets outside being around 40,000 on just a single night with even higher numbers later claimed. Fans that missed those celebrations had later opportunities to attend public memorials and tribute concerts. To sum up, I regretted not spending more time appreciating Prince before his death but I had at least started to warmed up to him in the years prior to that event. He was a little weird but has talent was undeniable. In particular, Prince had a certain stage presence that made it easy to see why he became such a phenomenon. His 1980s hits have a certain nostalgic flair when listened to now and his live performances seem almost mythical. 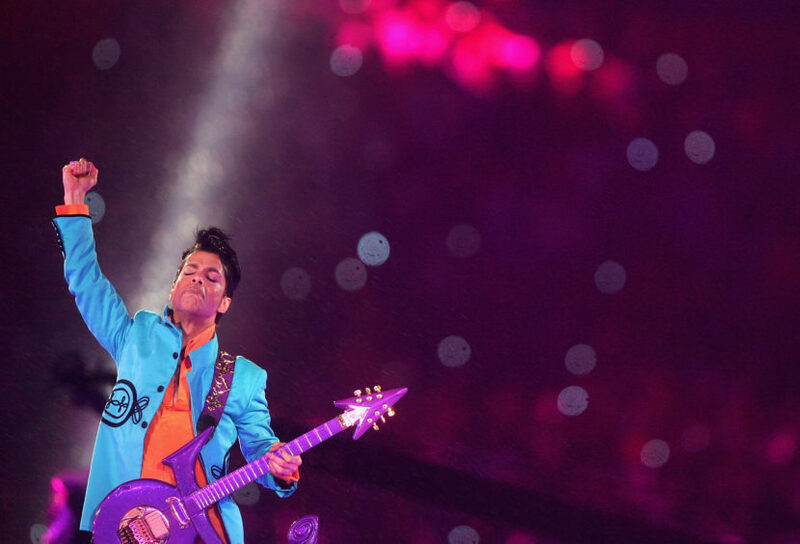 Prince’s long-term legacy was still emerging in the aftermath of his death but it was undeniable that he cast a long shadow of influence over a generation of musicians. The public had also likely not heard the last of Prince’s music, as rumors persisted that he had enough material recorded in his vaults to provide many decades worth of album releases.